Social Media plays a vital role in knowing the details about the personal & professional interests of the person. But, don’t you think it is practically impossible for one to find out all the social accounts of a person? So, here I am presenting you the powerful search engines for Social networks. With the help of these tools, you can extract the complete info about the person. Oh wait, now you must be wondering how? Aren’t you? If you have email id, phone number or simply name, etc of the person, you can find out a lot about the person. Services Pricing Search Methods Email Id Status Checker Ratings! With the help of these software, you can easily detect the user’s social & personal information such as Facebook details, LinkedIn profile, Twitter, Google+ and various others public details available on the web server via their email IDs, contact number, name etc. These details of the user will help you to know more deeply about leads. So, without any hassle consider these five leading social search engines enrichment tools that work smartly to track your effective user’s details to make your work even more easier. 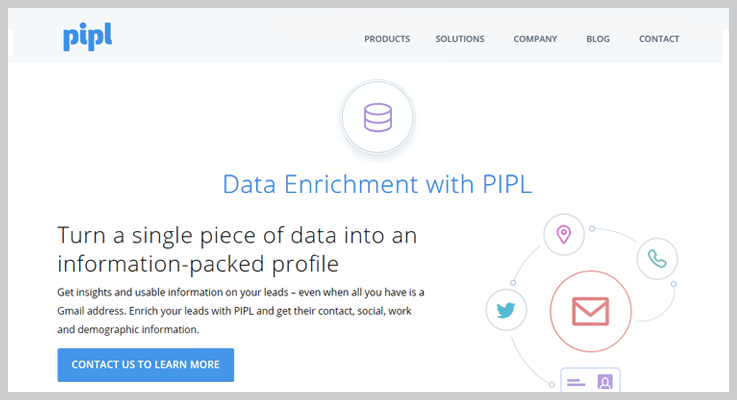 Pipl is a professional social media search engine version which lets you collect the personal & public information about your customers. With this enrichment tool, you will get unlimited search option, higher match rates & complete results of your users. With this powerful enrichment software, you can collect information not only of the user but also of their relatives & friends or even their work, profiles, address history and demographic information. The software enriches all the details present on the web server related to the email address and later provides their information to you within a second. The software enables you to search the bulk social profile of the users by uploading contact list via .CSV or .XLS file and extract the information over 100,000 users details at once. It fetches the information of customers from all over the world and displays them in a clear format. You can fetch the details of users such as name, email IDs, contact number, locations etc. Pipl empowers you to choose how many searches you require per month. Its pricing comes in both trials as well as the paid version. The PIPL lead enrichment tool offers 2 weeks free access to its services so that after the satisfaction you will get its advanced features. First Plan – For this plan, you will be charged $99/M for 200 matches. Second Plan – You have to pay $199 every month to find 500 contact details of your user. Third Plan – To get unlimited user’s details fetching access you need to pay only $299/M. FullContact is one of the best social search engine software. It allows you to fetch all the social details of your customers by using an email address, Twitter handles or contact number of a customer. With these info, you can extract details about the person’s social profile like LinkedIn, Facebook, Twitter, also address & all public profile can be fetched by using FullContact. It extracts public information over 120 social media networks available on the web server. FullContact provides you with several options. Either you can use API, request webhook or send email data in bulk for fetching information of the user. It allows you to find the social details of a person as well as the company also supplying the domain name. Social media details extracted by using email address are returned into JSON file format. Premium Plan – If you want access to 5 sync accounts, 25k contacts, 1,000 business card scans & 500 contact lookups every week, you gotta pay $8.33/Month. Trial Plan – This plan is completely free. This plan is basically for a small project for which you will get 100 matches per month, person data & company data. Small Business – For this, you need to pay $499 /Month and get 50,000 matches, data subscription including trial’s features. Behind is an online data enricher tool that fetches your targeted audience social details. It will take a while to fetch all the social media account, professional records, company’s details of your audience. You just need to enter the email address of the person and behind will automatically display the result of that person. 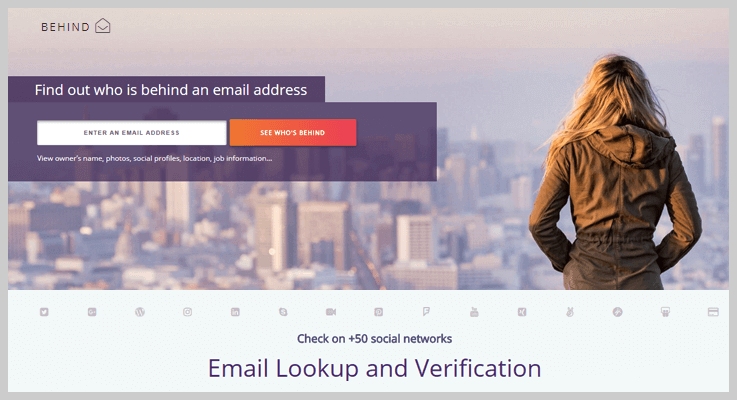 Behind allow you to check 50+ social networking site in its platform by verifying the email address. It provides an email lookup option to find the exact person behind an email. By searching for the person’s information you can get the whole details about the person along with his/her image. Behind gives access to 2,000,000,000 email profiles. One Time Payment – For this plan, you need to pay only $1.99 every month which allow you to get only a single email’s info. Unlimited Membership – This plan will cost you $4.99 every month in which you will get unlimited email list you want. Spokeo is the best option if you are genuinely looking for to learn more about your customer’s details. 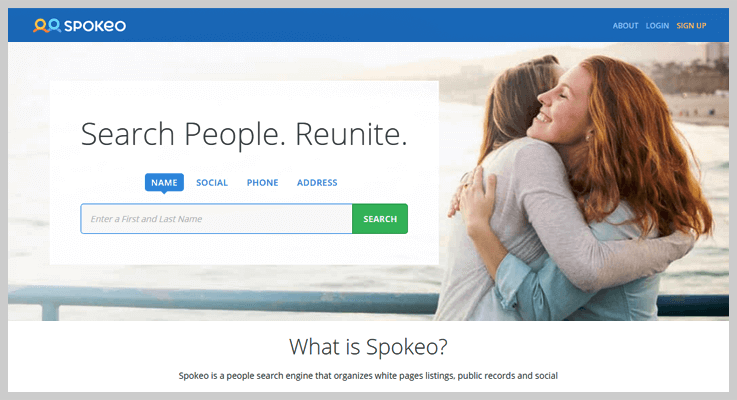 If you want to research a new neighborhood you are moving to or searching for your dating details, a quick search on Spokeo gives you access to n number of records instantly. It helps you to find personal, social, professional as well as any criminal details of any individuals you want. You can fetch the details of your target audience via their email address, names and other basic details in just a few seconds and it will show the whole details about your customer’s family details, photo s, etc. This advanced social media search engine tool is easy & simple in use which delivers the fetched data instantly. It shows the user’s blog updates & comments from all over the web if they have one. Provides a customer testimonial so that your customer can easily give the feedback about your product. It will show the result of users not only via their ID’s or images but also it shows the video of the customers. Spokeo enables you to share the results with your team within a second. Plan 1 – This plan will cost you $7.95/M for 3 months membership and you will get the entire features listed above. 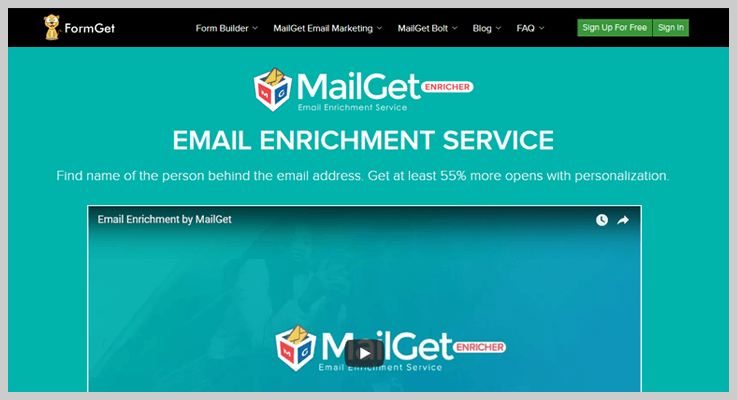 MailGet Enricher is one of the best web-based social media search engine tool. With the help of this tool, you can detect various kinds of social network information of your leads. Upload the email list file of the collected leads & MailGet enricher tool will provide you with the information like more than 30 personal or professional information such as LinkedIn profile, Facebook, Twitter and many other public profiles. Easy enough! This software offers you deep personal insights like the name of the customer, contact number, profession etc. that can later be used to device a custom marketing strategies. MailGet Enricher allow you to find leads in a bulk order by just uploading the email address present in a CSV or Excel sheet. After entering the email address the email enrichment tool sends data enriched file directly at your email address so you can download the file & analyze the information provided to invest in something useful. The data fetched from the server is 100% accurate and delivers authentic information. So, you can rely on this data for authenticity. Rookie Plan – With this plan, you can enrich 1,000 emails only at $19. Pro Plan – It Pro plan will cost you $9 and give you the option to enrich 5,000 email details. Advance Plan – To avail this plan, you need to pay $175 & you can enrich from 10,000 to 1,000,000 emails at a time. So, after the complete specification of all the software in this blog, it would have been easier for you to choose the best one among the listed products. These software will help you to fetch & collect the social accounts of the people all over the world. You can fetch the details of the user via email address, contact numbers, names etc. Moreover, some of the software also provides a feature to validate & verify social profiles after displaying in front of you. 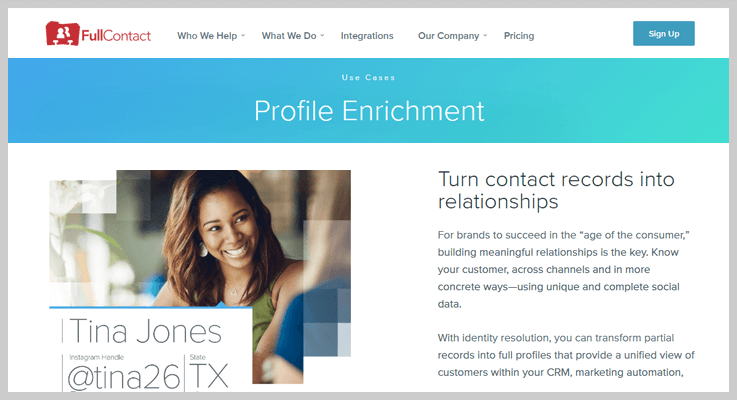 5 Best Enrichment Tools – To gather customer’s details, work history etc.